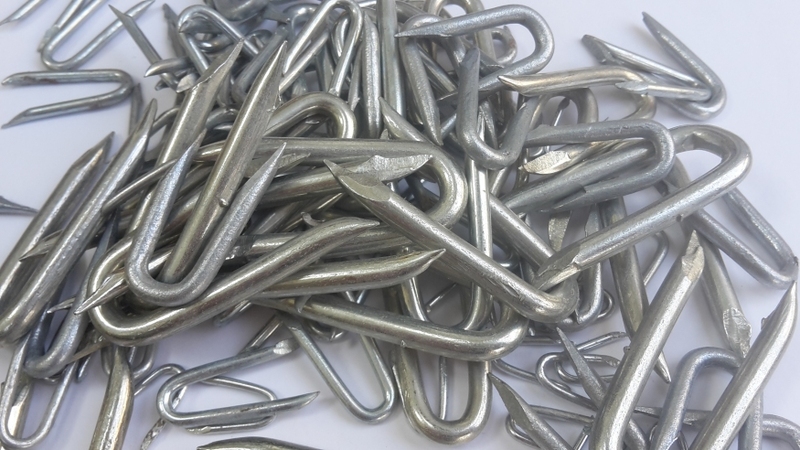 Galvanised U-nails for fencing mesh, netting and wire applications. 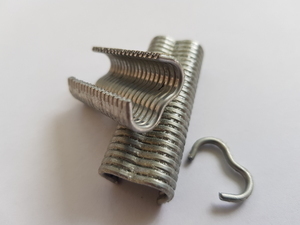 Steel U-nails are used to fix metal fencing mesh, rabbit netting, barbed wire, chicken wire, chain link fencing, plastic mesh, welded wire mesh, weld mesh panels/ sheets, line wire and garden wire to timber fencing posts and stakes. 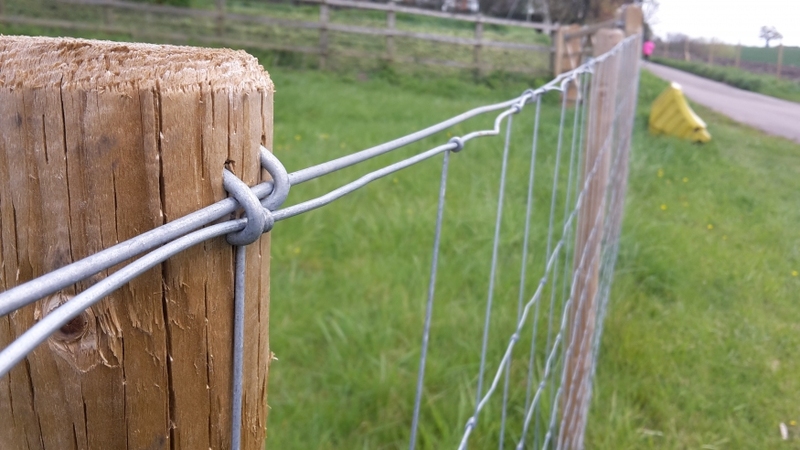 Hot-dipped galvanised fencing staples are rust-resistant and supplied in a 1kg pack which contains approximately 2000 staples. 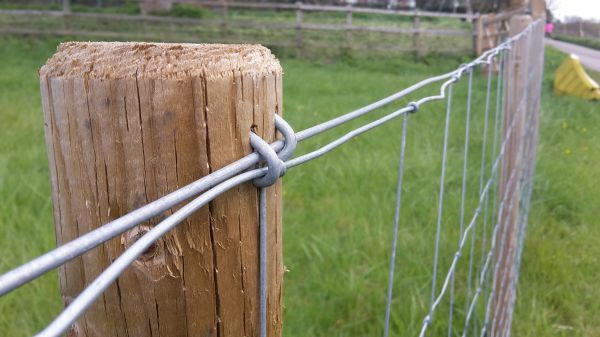 Fencing wire U-staples are easy to hammer in into wooded fencing posts, stakes, wooden frames. 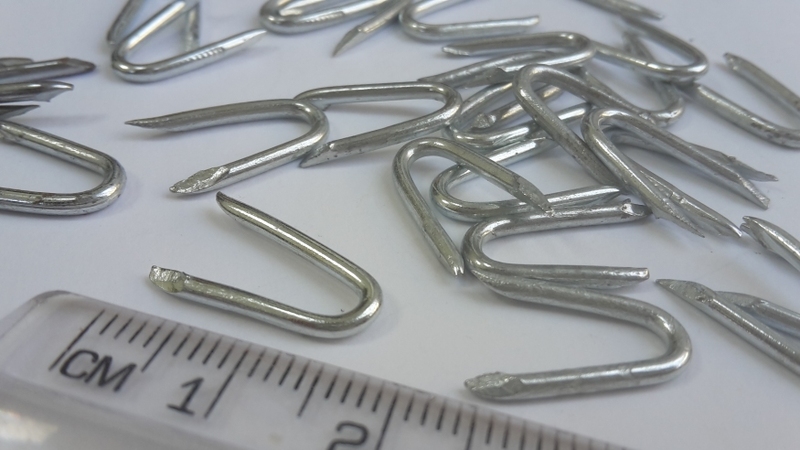 Ultimate One stock a large range of galvanised nails and U-staples for fencing and wire applications. 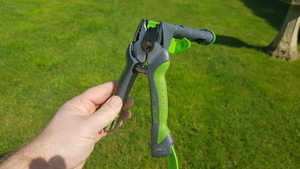 In pack sizes from 1kg up to 25kg packs and from 15mm staples up to large 50mm U-nails. 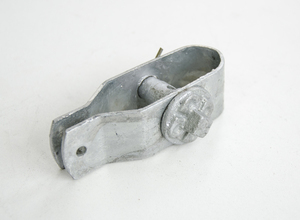 Please browse for full details.